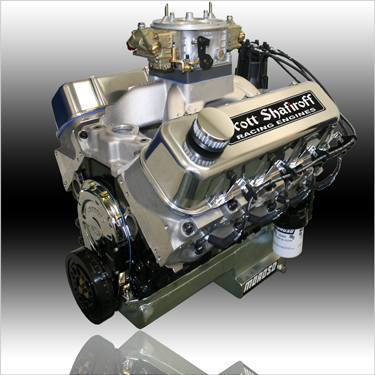 You Think There's Nothing New You Can Do With A Standard Low Deck Big Block Chevy? Well, Your Name Is Not Scott Shafiroff. After Over A Year In Development And Testing We're Ready To Unleash To The Public This New 615 Cubic Inch Low Deck Monster. Every One Wanted One, But We Took The Time And Engineering Expertise To Build A Reliable And Practical Package. Proprietory Block, Crank, Rods And Custom Pistons Give This Monster It's Guts But Only We Could Give It It's Soul!